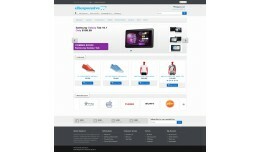 Gadgets Store is a glossy clean elegant opencart 1.5 template. Available in 8 different colors. Browser Compatablity : IE 8+, FF, Chrome, Safari. 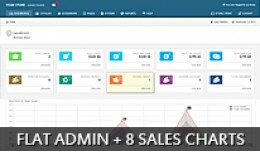 Demo Link - http://santoshsetty.com/opencart/demos/gadgets-store/ For Support / Queries yo..
Flat Admin Theme Compatible with OpenCart 1.5.6.x - 1.5.5.x - 1.5.4.x Demo URL: www.themebooster.com/demo/opencart/flat-admin/admin/ User: demo Password: demo Upload and Ready This Admin Theme uses vQmod and will not overwrite your fi..
eResponsive is a responsive OpenCart theme, elegant and easy to install. It's main feature is a clean and attractive design which sells everywhere even on mobile devices like iPad,iPhone, Android mobile, & others! 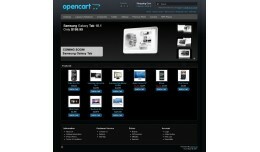 Demo: OpenCart 1.5.2.1 htt.. If you looking for FREE Vintage Cute Elegant opencart template Fashion teddy opencart template is the solution. Now with cloud zoom product image. Suitable for any purpose online shop such as professional shop, fashion, kids and baby shop, toy..
Sugarpill theme is a good choice for those who want a webshop that targeting women. It is created especially for websops that sell cosmetics, clothes and other fashion related products. 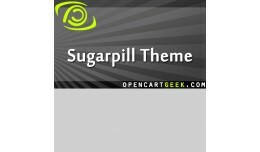 This theme gives your shop a decorative, simple, clean, ea..
Sugarpill Theme (Fashion, Beauty, Makeup, Cosmet.. This is my second Free Elegant opencart template Retro Stylize "Reborn" Luxury Free OpenCart Template Suitable for any purpose online shop such as luxury shop, professional shop, fashion, garment, accesories, wedding dress online shop, jew..
[UPDATE] Retro Stylize "Reborn" Free O..
Main colors: black, blue, some gray and a lot of darkness This theme shows OpenCart's true darkside. It is based on the 'default' theme, but everything about it is dark. (For OC1.4: It features a nice product image preview using the Fancybox j..
Main colours: black, red, some gray and a lot of darkness This theme shows OpenCart's bloody side. It is based on the 'default' theme, but everything about it is dark and bloody. 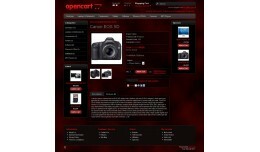 Demo: http://demos.cryoutcreations.eu/opencart/bloody-black/ ..